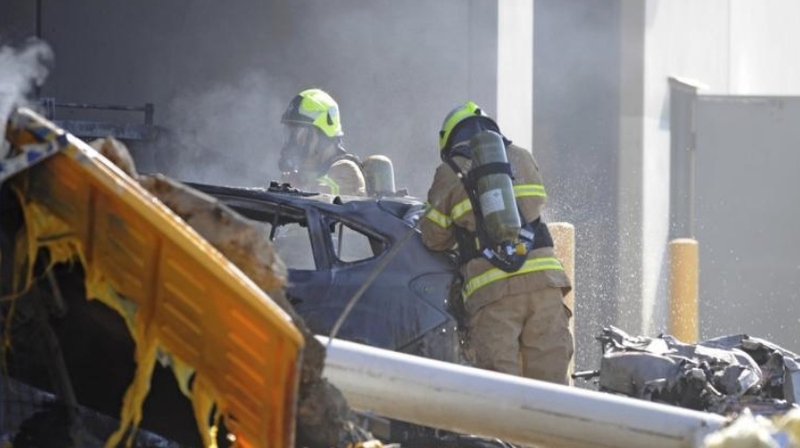 A pilot and four American passengers were killed on Tuesday when a small plane crashed in to the roof of a shopping mall after taking off from an airfield outside Melbourne, police said. 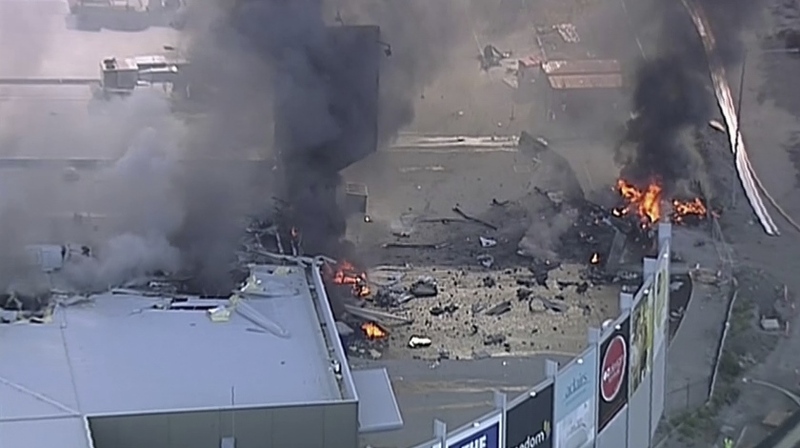 The twin-turboprop Beechcraft King Air plane suffered an engine failure and crashed into the mall near the end of the runway at Essendon Airport, Victoria state police assistant commissioner Stephen Leane told reporters in Melbourne. The pilot managed to send an emergency call, describing a “catastrophic engine failure” before the fiery collision, police said. Witnesses told Australian Associated Press the plane exploded on impact. The crash happened at around 9 a.m., about an hour before the mall was due to open and there were no fatalities other than those aboard the aircraft, the witness said. “All five occupants were male – the pilot was Australian and the four passengers were from the United States of America,” Victoria police said in later statement. Sky News showed burning wreckage strewn across the mall’s carpark and a thick column of black smoke rising from the crash site. The plane had been bound for King Island in Bass Strait between the mainland and the southern island state of Tasmania and Australian newspapers reported that at least two of the men were traveling to play golf on the island’s famed links. A spokeswoman for Airservices Australia said flights in and out of Melbourne’s main airport were unaffected. Essendon Airport, which is used mainly by light aircraft, remained closed.